Friendship is one of the most important things in the human race. As C.S. Lewis said, “It has no survival value; rather it is one of those things which give value to survival.” In fiction, friendships can be just as important as real ones. They make us laugh, make us cry, and inspire us to be better friends ourselves. Here are a couple of my favorite fictional friendships. Obviously, the main friendship in Captain America: The Winter Soldier is Steve and Bucky, but one friendship I think is also important is that of Steve Rogers and Sam Wilson. Their paths continue to cross, and Sam invites Steve to a meeting for war veterans. Though their circumstances are definitely different, Sam and Steve relate to each other because they’ve been through wars and seen terrible things. A lot of Sam and Steve’s friendship is shown offscreen, but they’re obviously close enough that when Steve needs a place to hide, he goes to Sam’s house. Sam welcomes him in without hesitation, and that’s when Sam officially joins Team Cap. Steve and Sam are my favorite because they relate on a personal level, because they’re loyal to each other, and because Sam is a friend to Steve when he needs one most. One of the very first friendships I was introduced to was that of Samwise Gamgee and Frodo Baggins in The Lord of the Rings. While they weren’t extremely close at the beginning of the story, they become closer as they go on an extremely difficult journey to Mordor. In the end, I’m grateful Tolkien let us get a glimpse into the lives and friendship of these two resilient, amazing hobbits. Sam’s loyalty to Frodo means a lot to me personally, and I believe they’re one of the greatest friendship stories I’ve ever experienced. Amanda and I did a post once about why Ron Swanson makes a great workplace proximity associate, and one example of this is his friendship with Parks and Recreation’s protagonist, Leslie Knope. As different as they are, Leslie and Ron have a great friendship. 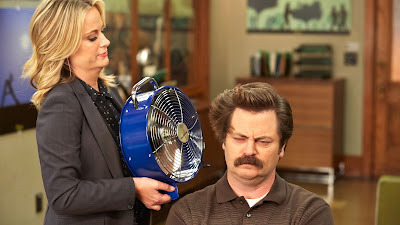 Over the course of the show, Ron is always in the background of Leslie’s endeavors, quietly supporting her. Though he has a distaste for the government, he’s behind Leslie in her quest to make Pawnee, Indiana a better place. Leslie helps Ron as well and draws him out of his shell. She gives him gifts, encourages him to pursue new opportunities (such as dating), and even sends him to an island in Scotland because she knows he’ll love it. When the other is down, they give each other pep talks. They inspire each other to be better people. While they’ve had their ups and downs, which included not speaking to each other for a while, Ron and Leslie always find their way back to the comforting, easy, and strong friendship they’ve always had. I’d be remiss if I didn’t include the iconic duo from Agents of S.H.I.E.L.D., known jointly as Fitzsimmons. Best friends since they met at the S.H.I.E.L.D. academy, Fitzsimmons were truly inseparable. They met some difficulties in season 2 when they were separated by both physical distance and emotional problems. Ultimately, though, they rejoin forces and become the best friend team they always were. Jemma and Fitz are perfect together. They complete each other and often meld together to seem like they’re the same person. Jemma grounds Fitz’s more emotional side with her logic, and yet when Jemma is emotional, Fitz grounds her, too. They’d do anything for each other, as evidenced in the season 1 finale, and their friendship has stood firm through all the trials S.H.I.E.L.D. has faced lately. When Rick Grimes first met Michonne, I’m sure friendship was the farthest thing from his mind. Rick and his group were gearing up for a war, and he was cautious and wary about bringing Michonne into the fold. The whole group, including Rick, distrust Michonne for a good portion of season 3. They keep her around because they need her skill with a katana, but it’s a slow road towards Michonne’s acceptance. Ultimately, however, Rick learns to trust her after Michonne has proven time and time again that she’s on their side. As time goes on, Michonne becomes an incredible asset to the group, and Rick learns to trust her implicitly. At one point only Rick, Michonne, and Rick’s son Carl are trying to survive together, which is when Rick and Michonne really get to know each other. Rick consults Michonne on what her opinion is on things and begins to see her as an equal. 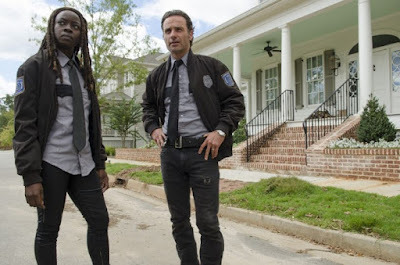 In season 5, Rick and Michonne become deputies and that’s when it appears that Michonne really is his right-hand woman. In the season 5 finale, Michonne acts as someone to hold Rick accountable. She ends up knocking him out before Rick does something he regrets, which was a bold move that saved a lot of lives. Rick and Michonne are examples of two strong people that become stronger together. I’d like to give major props to the writing team for that! Rick and Michonne are fantastic and their desire to work together to protect the ones they care about is so amazing. As the seasons go on, I look forward to seeing where their plotlines go, both individually and together. What do you think of these friendships? 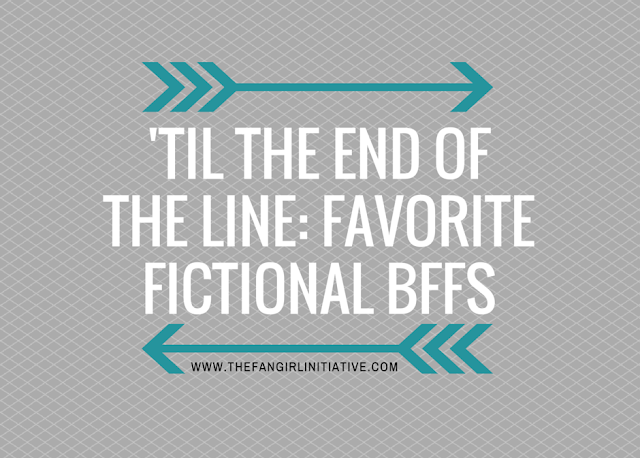 Who are your favorite fictional BFFs?